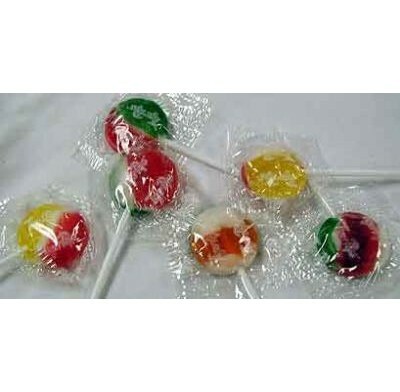 Tiger Pops Lollipops (5 lb. 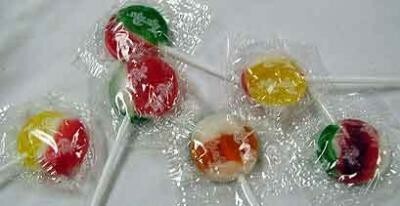 case) from Colombina, individually wrapped assorted fruit flavored lollipops. These stripped and colorful suckers will make any party or promotion festive. Sold in bulk, delivered in a 5 lb. bag, 40 pieces per pound.